Split offers its visitors much more than a cityscape of cultural and historical attractions, with beaches and promenades. Lovers of “high altitude” adventures have several options to chose from as Split, like the rest of the Dalmatian region, is surrounded by mountains. Astronomy village on the Mosor mountain is one of the interesting locations that can be visited by recreation fans and as well as those who prefer coming to mountain by car. 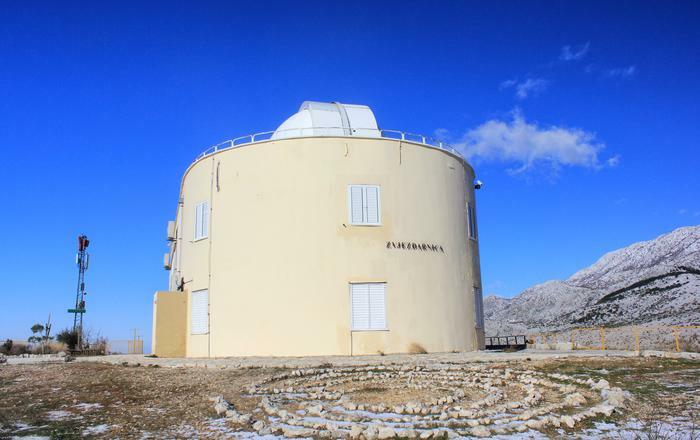 It takes 30 minutes drive (distance from Split is 22 km) to reach the top of Makirina where the observatory is situated. It has an educational role for students from broader Split area, but it is also open for other people as well. The observatory can be visited Fridays and Saturday when one can have a guided tour and learn of currently visible constellations, positions of the most visible planets and stars and watch artificial satellites orbiting. Apart from this exceptional “space” adventure, there is also a beautiful view of Split and its islands for the visitors to experience.